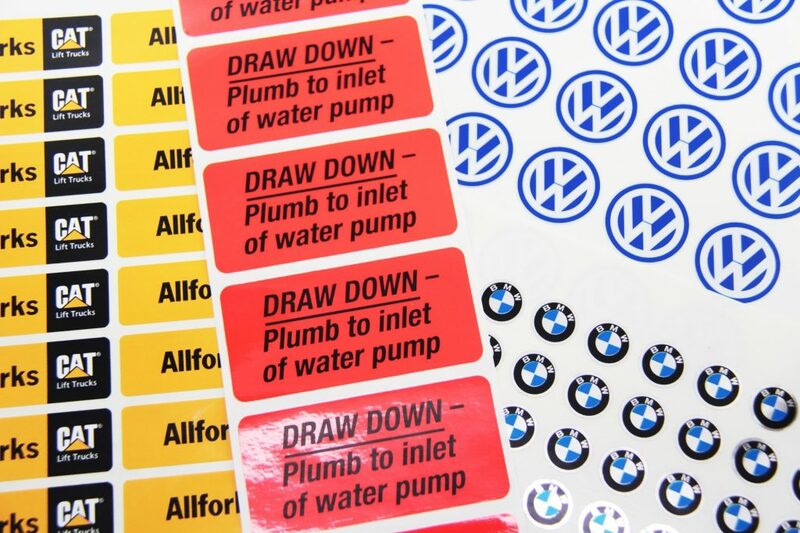 Duro-Lenz polycarbonate decals are screen or digitally printed to exacting PMS colour requirements on the second surface. This means that the image is encapsulated between the textured or gloss polycarbonate plastic substrate and the automotive grade, permanent adhesive. This method of production protects your logo or product information for the life of the product it is applied to. Our printing inks are UV light and fade resistant, even outdoors and are cut to custom shapes without the need for expensive tooling. 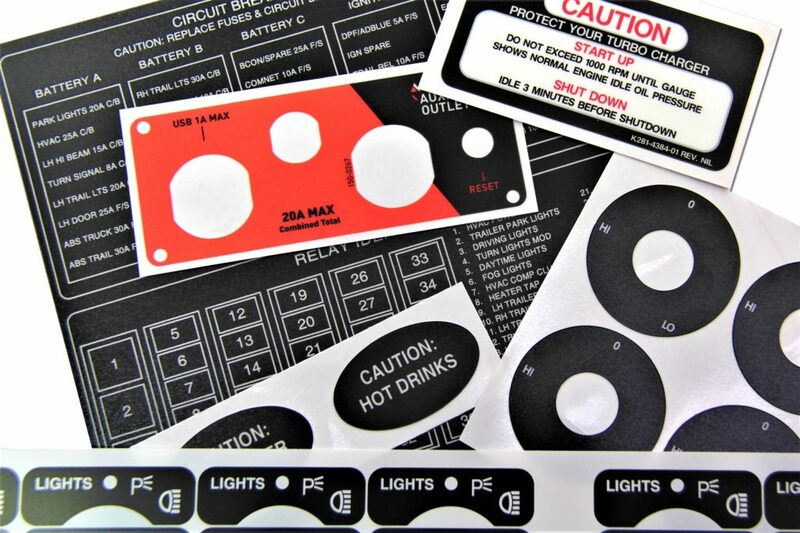 Our custom printed industrial labels are available in singles, sheets, strips or in roll form. They are printed on permanent, high strength, high quality, self-adhesive plastics such as polymeric and cast vinyls or polyester (mylar) films. Talk to us about your needs! Our printing inks are UV light and fade resistant, even outdoors. Our self-adhesive labels are cut to custom shapes without the need for expensive tooling. Duro-Lenz plastic labels can incorporate variable data such as serial numbers and barcodes too. We are the one stop shop! Duro-Lenz nameplates are custom manufactured in anodised aluminium. 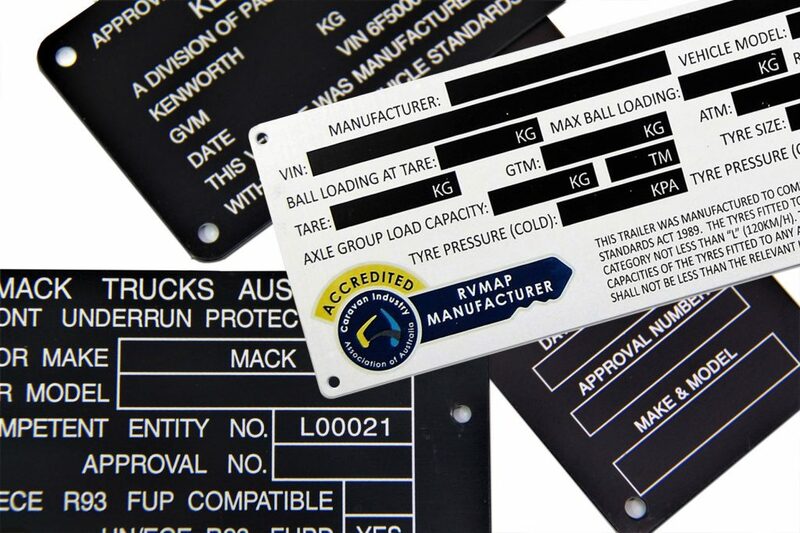 A standard, I mm thick compliance plate is anodised black with the text reversing out in the silver aluminium colour and die cut to shape with round corners and holes. They are extremely tough. These die cut name plates can incorporate an automotive grade adhesive backing if required and can also be engraved (in house) with your variable data.